NATO Days 2018 together with the Czech Air Force Days start in two weeks in Ostrava, with the main program up for 15th and 16th September. It is being finalized and offers many interesting inputs by many allied countries. The U.S. Army will present the M1 Abrams MBT, the M2 Bradley IFV and two Apache attack helicopters. Prague Castle Guard will commemorate its 100th anniversary during the event. Poland has confirmed participation of its Special Forces Unit AGAT. And more. The U.S.A. will be the partner nation of the NATO Days in Ostrava & Czech Air Force Days 2018. For the first time in history of the NATO Days (which began their tradition in 2001) the U.S. armoured vehicles will be on display. The U.S. Army will present the M1 Abrams Main Battle Tank (MBT) and the M2 Bradley Infantry Fighting Vehicle (IFV), and a pair of the AH-64 Apache Attack Helicopters. „Participation of the U.S. armoured vehicles in public events is always a great event, in the Czech Republic, both the Abrams tanks and the Bradley vehicles could have only been seen at the Czech Ground Forces Day Bahna more than ten years ago. And its presentation in combination with the aircraft is even rarer,” General Jiří Šedivý, security expert and former Chief of the General Staff said. 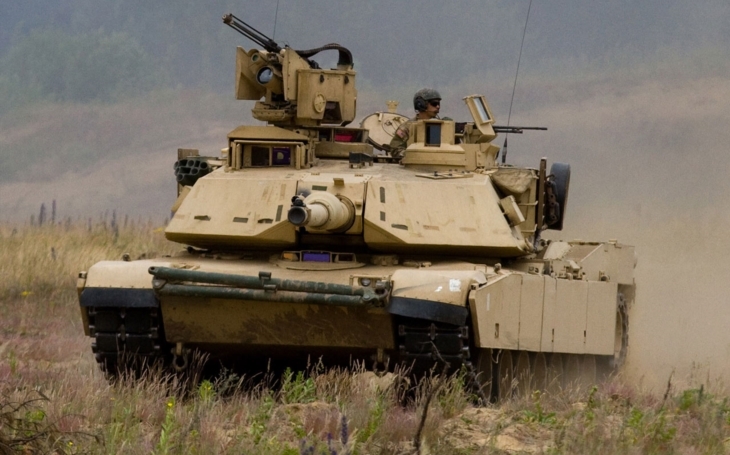 M1 Abrams will be the third Main Battle Tank to be displayed during this year’s program, alongside with the Czech T-72M4 CZ and the German Leopard 2. Besides the U.S. M2 Bradley Infantry Fighting Vehicle the Czech Army will present its aging BVP-2 (BMP-2), in both the static and dynamic displays, completed with an AMB-S, an ambulance variant of the BVP-1 (BMP-1). Last year three of the main competitors, the ASCOD II, the Lynx and the Puma IFVs made their public premiere during the NATO Days. The visitors will most probably have the opportunity to see them this year again, as the IFV public tender is imminent. The Prague Castle Guard (Hradní stráž) was established by the Military High Command of the Czechoslovak Republic on 7th December 1918, shortly after the declaration of independence of Czechoslovakia (28th October 1918). Today it is an autonomous component of the Czech Armed Forces, although financially and logistically supported by the Army. The visitors will have a chance to get to know its history and a popular exhibition of its motorcycle unit will also take place. The Regional Military Command Ostrava has prepared a broad presentation of its subordinate Active Reserve unit. It will show not only its equipment and gear, but also capabilities in two dynamic displays. The soldiers will focus on the unit’s priority tasks regarding crisis management on the region’s territory such as protection and defence of critical infrastructure by an Active Reserve’s platoon and activities of a squad at a check-point. The static display will provide visitors with a shooting simulator, displays of both equipment and gear which, in addition, will be enriched by a presentation of a photo and video collection from the unit’s exercises. Poland has confirmed participation of its Special Forces Unit AGAT, which will present its equipment including the Oshkosh M-ATV armoured vehicle on static display. These vehicles belong to the MRAP (Mine Resistant Ambush Protected) category and are constructed to withstand improvised explosive devices as well as ambushes. This year’s event will be marked by the return of this armoured vehicle, alongside with HMMWV, Land Rover Defender, the Polaris quad, or newly an ambulance. For more information visit the web site of the NATO Days. The admission is free.